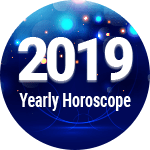 You will have to take extra care of your health during the year 2019 as you are likely to complain about some physical and mental problems says your Gemini 2019 health prediction. Knee and stomach related issues are especially indicated during this period. You might get sicknesses such as Rheumatism and Arthritis. You should immediately go for health check-ups whenever you feel physically unfit during this year. Remain very cautious about your health, particularly from 16th May to 23rd July as there are many chances of falling sick during this period. Problems of mental discomfort and stress are especially indicated as seen in your Gemini health horoscope 2019. Hence if possible, avoid taking more stress propounds your Gemini health in 2019 horoscope. You must also take care of your physical fitness during this period. You can increase your fitness by exercising regularly and joining a gym. Also, maintain regular eating habits. When your health is deteriorating gradually, it creates mental disturbance in individuals, and this will eventually happen with Gemini Natives. At such times it is mandatory for you to remain calm and consult a doctor. Take medication on time as prescribed by the doctor. According to your Gemini fitness horoscope 2019, being obese can also lead to a lot of health issues, work out well and stay fit to prevent unwanted diseases that could shatter your ambitions and dreams. If you don’t take appropriate steps then the level of stress will rise beyond control and you might have to face a mental issue as well. This will create havoc for you and the whole family. Take good care of yourself and your family’s health. If you maintain good food habits and exercise daily, then you can get rid of present illness and also prevent yourself from future sickness. Gemini Health Horoscope 2019: Eat Healthy To Avoid Any Heart Ailments! Women natives must remain extra cautious as they may face problems related to the uterus or gynecological issues during this period. Take good care of your genital health and go for regular check-ups to avoid any serious illness. Reproductive health in case of a woman is of immense importance and you should also take extra care of your health around the year-end, as there is a high probability of your health deteriorating during December apprises the Gemini 2019 health horoscope. You must also participate in activities that keep you in a pleasant mood. This will help you to work more efficiently. It will be in your best interest to take care of your health to avoid any hindrances in your work due to your health. In short, you should remain extra cautious about your health alerts the Gemini health horoscope 2019. If you are suffering from Cardiac issues, then stay away from red meat and avoid consuming alcohol. Eat a healthy diet consisting of leafy-green vegetables and less oil. The 2019 Gemini health horoscope informs that this will enable you to protect your heart from any future heart-attacks. 1. According to your Gemini health horoscope 2019, the period from16th May to 23rd July is very negative for your health and wellbeing. Take care of your body and eat a balanced diet. 2. If you avoid any health issue during this time, it could prove to be hazardous for your health and well-being. 1. If you’re facing a mental breakdown, try and stay calm and take up yoga and meditation for mental health and well-being advises the Gemini health horoscope 2019. 2. In accordance with your 2019 health horoscope for Gemini, you will be able to live a healthy life only if you adopt good eating habits and work-out daily. Gemini Health And Fitness Horoscope 2019 Overall rating: 4.7 out of 55 based on 1105 reviews.